We don't want to keep you in the dark about the required things, so check this page for the info you need. Our goal is that ALL Guests should enjoy their stay at Eagle Bluff. And treat others as they would like to be treated. No Glass or Styrofoam containers. No Ice Chests larger than 48 quarts. Ice chests must be capable of being secured to prevent spilling. No trespassing where posted. Respect the rights of others. No littering - Free trash bags available. Please ask! No Intoxicating substances. No Hard Liquor or Jell-o Shots REMEMBER, "Anywhere in Oklahoma you may be arrested if you are publicly intoxicated." Policy sections below include Reservations, Cancellations, Floating, and Campground Rules. Just scroll to the one you need. For FLOATING, to GUARANTEE the boats you prefer, for Group Pricing, or on a Saturday between Family River Rendezvous and Labor Day, a Float Deposit is required. Rendez-vous is held the weekend before Memorial Weekend. Float deposits are applied to the cost of your float trip. Amount is generally $10 per boat reserved with a $20 minimum. 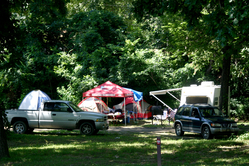 LODGING and CAMPING require a TWO NIGHT MINIMUM STAY if you are staying on either Friday or Saturday night between Family River Rendez-vous and Labor Day, with a THREE NIGHT MINIMUM for Memorial Weekend and Labor Day Weekend. Lodging requires ADVANCE PAYMENT for your FULL STAY. A float deposit to be applied to the cost of your float trip will be added to the advance payment for any lodging stay between Family River Rendezvous and Labor Day. Payment is generally due within ten days of making your reservation. Please ask if you need special extension of your payment due date. CAMP and FLOAT PACKAGES require a MINIMUM number of Guest to pre-pay to GUARANTEE the SITE chosen. Number of Guests is determined by the site you have chosen. If not enough payments are received, your site may be changed at management discretion. Payment on Packages must be made BEFORE the day of arrival to receive the pre-pay discount. LODGING: We refund only if the Lodging Unit can be re-rented. 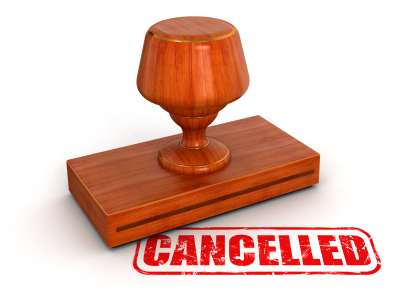 Give us as much notice of your cancellation as possible and we will try our best to re-rent for you. FLOATING: We float rain or shine! No refunds after starting your float. On busy Saturdays (or Holiday weekends), if you arrive more than 60 minutes after your scheduled arrival time without calling, we may cancel your reservation to make your boat available to other Guests. DEPOSITS are NOT REFUNDABLE but notify us in advance of your scheduled float and we will hold your deposit for you to use any time in the next 18 months, subject to boat availability. CAMPING AND PACKAGE DEPOSITS: Please notify us in advance of your scheduled arrival and we will hold your payment for your use any time in the next 18 months, subject to site and boat availability. PAYMENTS AND DEPOSITS ARE NOT REFUNDABLE. No refunds for partially used packages. ALL FLOATERS must sign the Liability Waiver before floating. The Waiver is available as a PDF at the far left. State and Federal Boating Laws apply: See the Officer's list at the top of the page. Please remember Children 12 or under are legally required to wear a Personal Flotation Device (PFD) when boating. The office has four sizes of high quality children's PFD's for those under 90 pounds, so be sure your child has one. For further safety, children 5 and under should ride in Rafts. ADULT MINIMUMS apply to pricing for each boat. Rafts require a three or four adult minimum. Canoes and Double Kayaks require a two adult minimum. Single Kayaks and Tubes are always at adult price. After adult price minimums are met, child prices will apply to additional riders. Group Pricing requires a Group Leader who collects all the money and the signatures on the Liability Waiver. In essence, we deal with the Group Leader, not several people. Reservations are also expected for Group Pricing. All Floaters must ride the Eagle Bluff bus or shuttle and listen to Safety Reminders unless special arrangements are made. Boats must be returned by 6:00 P.M. on weekdays and by 7:00 P.M. on Saturdays and Holiday weekends. We float rain or shine! NO REFUNDS after starting your float. Deposits for those floating only are required on busy Saturdays and for Group Pricing. The usual amount is $10 per boat reserved with a $20 minimum. Deposits are not refundable, but if you call before your float time, we will transfer your payment to another date within 18 months. The date does not need to be determined at the time of your cancellation. All Guests MUST CHECK-IN at the office before setting up camp. Each Guest, including children, must sign the Liability Waiver. We'd hate to require you to move because someone has already reserved the site you are in, but we will. Please click picture to the far left to get a PDF copy of the Liability Waiver. Guests shall accept RESPONSIBILITY for their actions, interaction with others, lost or stolen items, falling limbs, rising water, and other weather related occurrences, and any other unforeseeable occurrence. Use of Eagle Bluff Campgrounds is at your own risk. See Liability Waiver. Consumption of ALCOHOLIC BEVERAGES is allowed within moderation. Those who become intoxicated may be reported to Law Enforcement Agencies. Please drink responsibly - a night in jail spoils the fun for you and your friends. Our TREES are important to Eagle Bluff and the environment. We're sure you want to help protect them too. Please do not bring outside firewood into our campground. This can spread diseases and pests. No cutting trees or nailing into trees. Firewood is available in the office or you may pick up fallen branches and limbs. Fines for cutting trees will be assessed at $100.00 per diameter inch! Never leave CAMPFIRES unattended. Be sure your fire is extinguished before leaving the area. Please NO LITTERING. Make sure any trash is put well inside of receptacles - our animal friends love to party with your trash. EMERGENCIES: Please report any emergency immediately to the Office or any park personnel. After hours, you may call 918-316-5417 for emergency assistance. If park personnel are not available, please call 911. FIREWORKS, WEAPONS and Four Wheelers are not allowed. Fireworks will have special allowance on July 4th only and are not allowed even then after 10:45 pm. QUIET HOURS are from 11:00 pm to 7:30 am. in the Family Campground and RV Park. In the Late Night Campground, quiet hours are from 1:30 am to 7:30 am. During Quiet Hours, radios must be off and activities quiet. Gates to the Family Campground are closed to all vehicular traffic at 11:00 pm. After that hour, you may walk in to your Family Campground site, but you will not be able to drive in or set up campsites. Those arriving late will be allowed to park in the overflow parking free until 8:30 AM. - RESERVED SITE deposits will be forfeited. PETS: Friendly pets are welcome if kept on a leash and with an adult. Dogs must be approachable by strangers, adults and children alike. You must clean up after them. Pets must not be left unattended or tied to a tree while Owners are away from the campsite. Be sure to plan adequate food and water at all times. Management reserves the right to remove Pets and Owners causing a disturbance. NO REFUNDS! SHOWER HOUSES: We work hard on keeping them clean. Picking up after yourself is greatly appreciated. If they need special attention please let us know. Enjoy Bubbles Bathhouse during your stay, but note that Bubbles is only open when the office is open. SWIMMING: NO LIFEGUARD ON DUTY - SWIM AT OWN RISK - CHILDREN 12 and under must wear life jackets. NO JUMPING OR DIVING from any point. All campground activity is at your own risk. Remember you are Guests on private property. We do reserve the right to evict anyone causing disturbance or violating these guidelines.